on how cluvfy stage -post crsinst -allnodes -collect cluster -gi_upgrade could have changed the cluster upgrade state to [NORMAL]. Running gridSetup.sh -executeConfigTools in silent mode, the next step cluvfy is not run. [WARNING] [INS-43080] Some of the configuration assistants failed, were cancelled or skipped. Running gridSetup.sh -executeConfigTools in GUI, there is an option to ignore Failed Upgrading RHP Repository and continue to the next step to run cluvfy. I don’t think cluvfy modify the state of the cluster but rather ora.cvu did due to the existing of the following files. 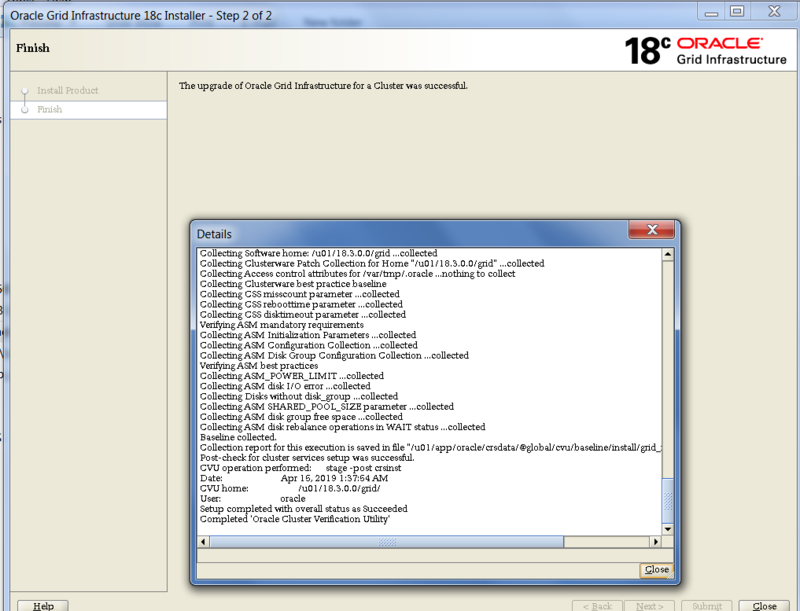 When checking RESULTS from ora.cvu, there are no errors. Hell! What do I know as I am just a RAC novice and happy the cluster state is what it should be. 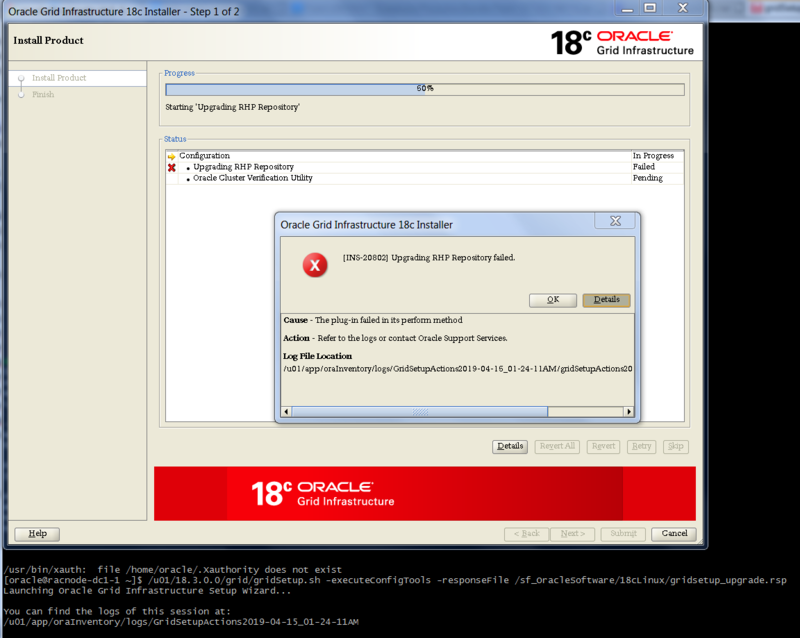 could you attach the silent response file for 18c grid upgrade.. I have updated post to response file.